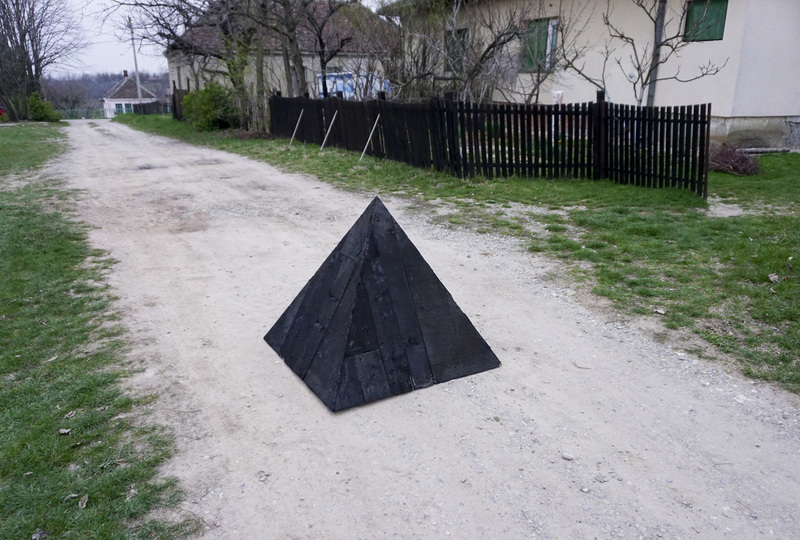 Sculpture TOP extracts from Nikolic’s large size work exhibited in 2016 at the Salon of the Museum of Contemporary Art in Belgrade SUPERSTRUCTURE, whose topic was also a rooftop. SUPERSTRUCTURE was an installation of huge proportions, shaped like a rooftop, built from the thrown away material the actor collected (old doors, windows, furniture parts, planks…). The sculpture had a base base of 120 square meters and it spread throughout the whole gallery. It was a colorful collage made of things that we usually throw away. 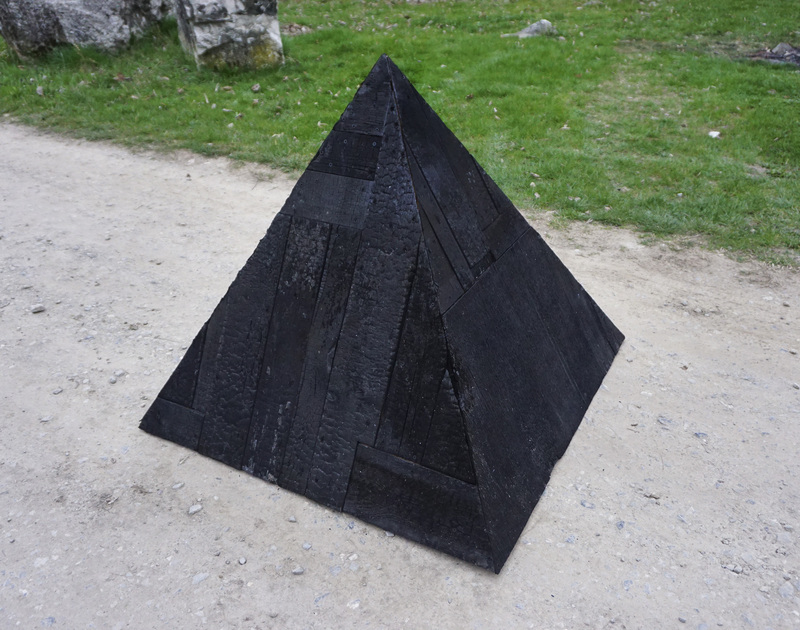 In contrast to the SUPERSTRUCTURE, by burning such diverse pieces of wood in this work Branislav Nikolic tried to get a monolith representation that would make a sublime, almost sacral effect by its natural, deep black color.